Two or more than two components can be arranged in either series or parallel configuration. In a series configuration, the current always remains same. 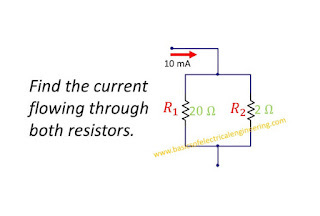 We can't apply the Current divider rule in series circuits. In parallel circuit configuration the voltage always remains same across all parallel components. However the current divides into parallel circuits. This divided current is calculated by using the current divider rule. So we can summarize our discussions. In a circuit like this, we can simply apply the CDR to find the current. Check full solution of Example here. 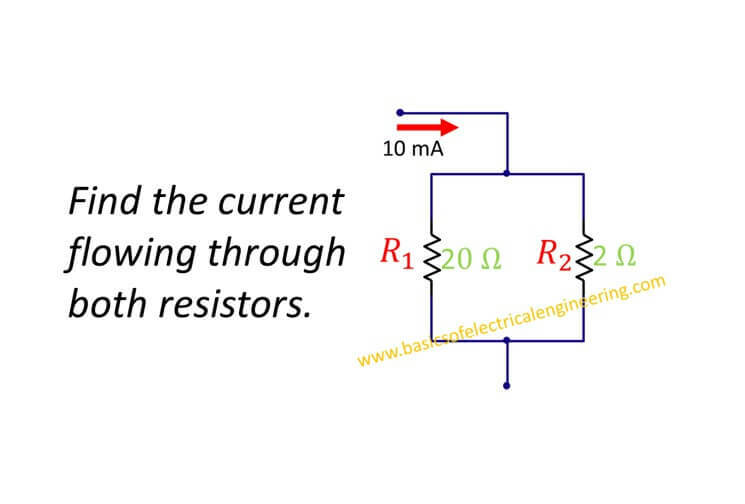 Consider a series circuit with three resistors. In a circuit like this same current flow through all components. 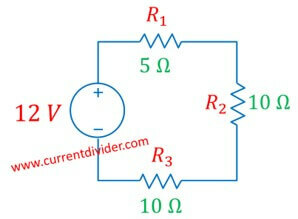 One can never apply current divider in this circuit. Since the current never divides. 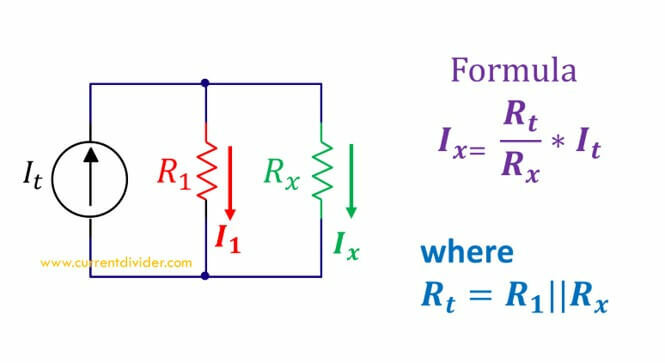 Here we can use the Ohm's law for series circuit to find the overall current flowing through all components. I = V/Req = 12 V / [5 Ω + 10 Ω + 10 Ω] = 0.48 Amps.